In November 2013 we took a 12 day cruise on the Coral Princess roundtrip from Fort Lauderdale to the Panama Canal. The half transit of the Panama Canal was an excellent way to experience Panama. 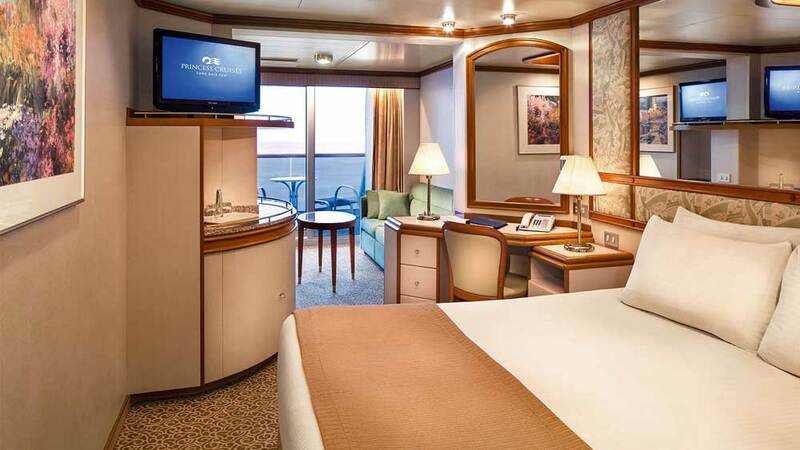 With approximately 2,500 passengers, the Coral Princess has the advantage of a small ship atmosphere combined with a beautifully remodeled appearance. Princess maintains a standardized decor, resulting in a similar feel on all Princess ships. The staff were extremely friendly and helpful, which enhances the experience. They go out of the way to say greet passengers in a manner that’s contagious. 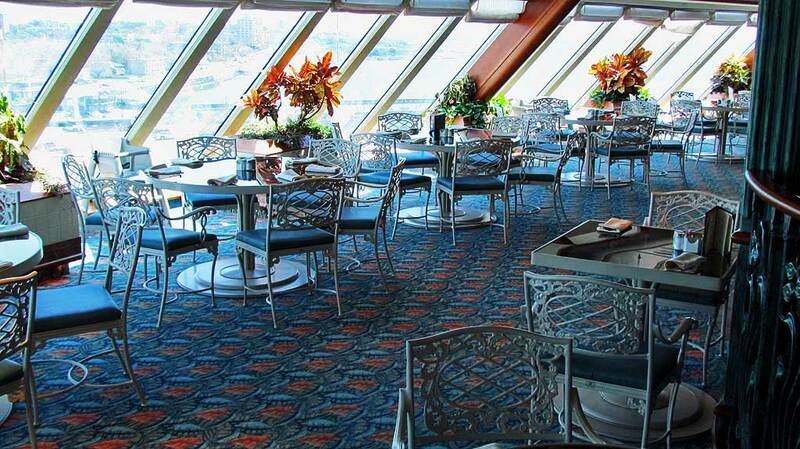 The best feature of Fiesta Deck 6 is the International Cafe. This is a great place to avoid the breakfast crowds and enjoy a latte and pastry. I particularly enjoyed the hazelnut stolen and the macadamia brownies. After a warm, tiring day ashore, the White Chocolate Ice Drinks were amazing. The only downside to the International Cafe is its proximity to the Casino, which can be noisy at times. The pastries and sandwiches at the International Cafe are complimentary, but the specialty coffees are not. The Horizon Court Buffet on Lido Dec 14 is a highlight. It is located at the bow of the ship with floor to ceiling glass surrounding the entire eating area. It’s a great place to enjoy views in all directions while dining. The Horizon Court had nearly all the same options as the dining room. It’s also a wonderful place to have after dinner desserts and coffee. 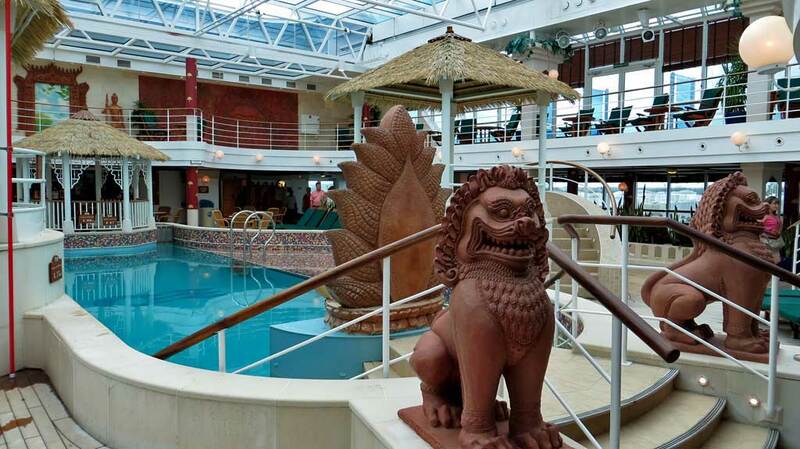 My favorite spot on the Lido Deck was the Lotus Pool with its glass roof. The pool is very narrow, but it’s over six feet deep. We had the pool all to ourselves after dinner, which made it feel like the atrium was reserved only for us. Also on this deck are the gym, spa, the outdoor Lido Pool, two bars, a free pizzeria and a free ice cream bar. 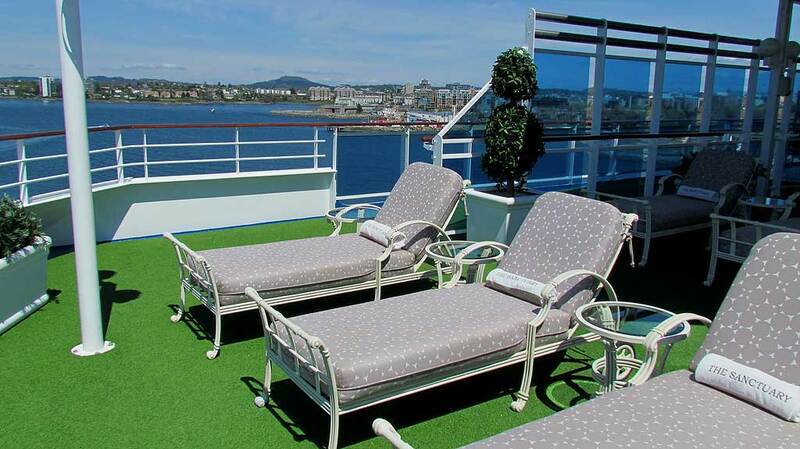 Movies Under the Stars with free popcorn can be viewed from the Lido Deck 14 and Sun Deck 15. November is the end of the rainy season, so light rain and strong breezes made this a much less attractive option than on other Princess cruises I’ve experienced. 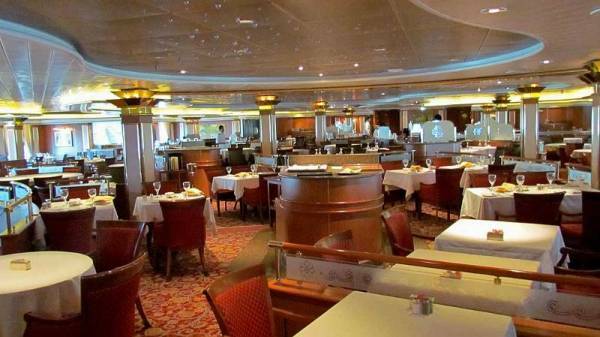 The Bar and Grill is also found on Deck 15. 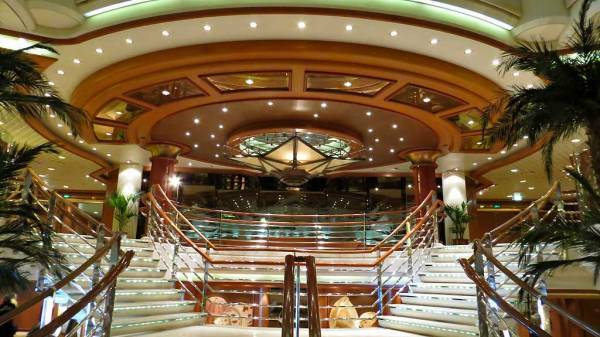 The Sanctuary is located at the rear of the Lido Deck. This adult only area can be accessed for a nominal fee. Pricing was increased for the Panama Canal transit, but it didn’t provide an advantage for viewing the Panama Canal Transit. On the Promenade deck, you can get a few feet from the canal walls, whereas the Sanctuary view was too high up during the transit. Our mini suite on the Dolphin deck was perfect. I particularly enjoy the large tub and the couch for reading or watching TV. The day at sea to Aruba was the best balcony experience I’ve ever had. There was no wind and lovely sunny weather. A bonus of changing technology is the availability of wireless internet in the suites. My trips to the Internet Cafe are a thing of the past. The meals on the Coral Princess were fabulous. We had escargot, lobster, pheasant and many specialty dishes. It wasn’t so much the variety of selection, but rather the taste that made for a superior experience. Anytime Dining was offered in the Bordeaux Dining Room. We arrived before 6 for dinner each night and never waited for a table. It was a pleasure to meet others and share experiences as well as plans for future shore excursions. 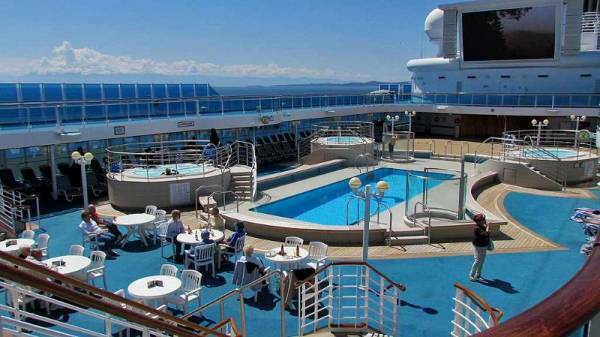 The Coral Princess is in excellent condition and is one of my favorite cruise ships. I like the intimate feel. The extensive views from the buffet are impressive.v The modern upgrades, such as the central plaza and the International Cafe, give the Coral Princess all the benefits of larger ships, while still maintaining the pleasures of an intimate sailing experience.